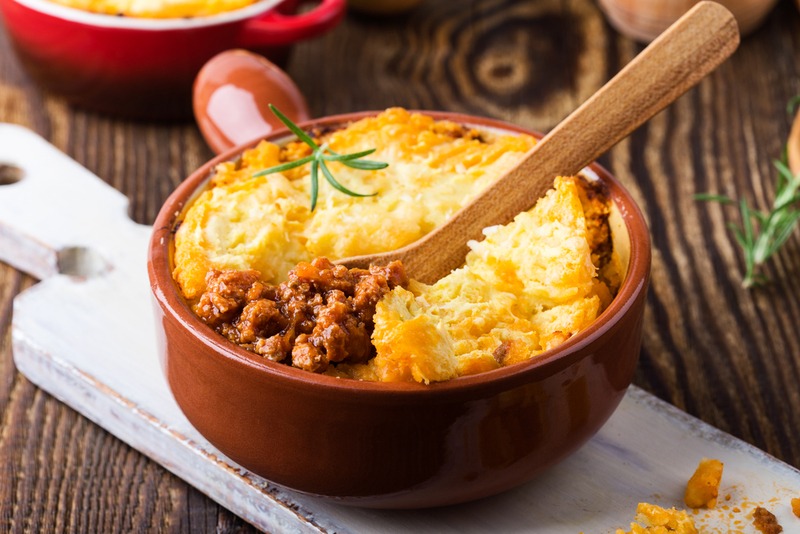 Ian Barker Butchers - Warm Up with a Hearty Lamb Shepard’s Pie This Autumn! Following the instructions below and warm up your senses with this mouth-watering recipe that the whole family will enjoy! 1. Heat 1 tbsp sunflower oil in a medium saucepan, then soften 1 chopped onion and 2-3 chopped carrots for a few mins. 2. When soft, turn up the heat, crumble in 500g lamb mince and brown, tipping off any excess fat. 3. Add 2 tbsp tomato purée and a large splash of Worcestershire sauce, then fry for a few mins. 4. Pour over 500ml beef stock, bring to a simmer, then cover and cook for 40 mins, uncovering halfway. 5. Meanwhile, heat the oven to 180C/ fan 160C/ gas 4, then make the mash. Boil the 900g potato, cut into chunks, in salted water for 10-15 mins until tender. Drain, then mash with 85g butter and 3 tbsp milk. 6. Put the mince into an ovenproof dish, top with the mash and ruffle with a fork. The pie can now be chilled and frozen for up to a month. 7. Bake for 20-25 mins until the top is starting to colour and the mince is bubbling through at the edges.